Ever heard of Big Omaha? It’s the nation’s most ambitious conference of innovation and entrepreneurship….and I was lucky enough to be one of 500 in attendance on May 11-13th. Initially, I had intended to live blog about it, but got immersed & wanted to soak up every bit of it. The experience has had a few days to settle in, so I’m taking the opportunity to write about it. The team behind Big Omaha magically creates this bubble of energetic, inspired people that make an impression on you in a short period of time. An atmosphere that encourages you to follow your passion by learning from both attendees and speakers. I’m talking life impact here. I interacted with entrepreneurs, developers and innovators who are contributing great things to the startup world. This consisted of both speakers *and* participants. All because of this idea that a few hopefuls from Omaha dreamed up….. Speakers: One of my favorite things was that most of them stuck around and participated in the conference after finishing. We were able to approach & ask questions regarding their presentation, problems they faced in their experience, and what they thought of your ideas. You can’t put a price tag on that. Attendees: Being around others in the same boat & bouncing our ideas off of one another was invaluable. Having an unbiased, outside perspective can lead to insights that you might have not considered & strengthen your idea. Family: The parents, siblings, spouses & significant others all pitched in! How cool is that? That shows an incredible amount of dedication, support & belief in what SPN is trying to do. 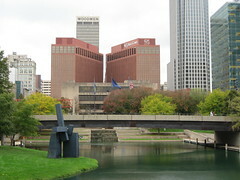 Omaha: I really, really dug this place – it felt a bit like downtown KC! Plus, the people were super nice. We are not alone: entrepreneurs face the same problems. Hearing the stories of how these speakers overcame struggles in their business empowers us that we can indeed do the same. 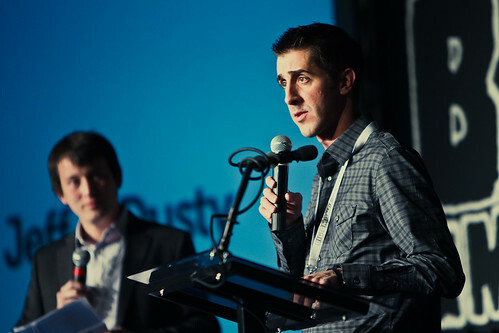 Dan Martell, Co-founder of Flowtown: “Failure is part of the process” . You will fail…it’s how you get back up, dust yourself off and move forward that matters. Travis Kalanick , CEO of Uber: “Fear is the disease, hustle is the antidote”. This was the best quote of the conference. In other words, move forward, gain momentum and build on those successes. I came away with a life changing experience w/ even more inspiration to turn things up a notch with KCITP! I would recommend attending this conference to anyone that wants to learn more about entrepreneurship & getting inspired. To learn more go to http://www.bigomaha.com and learn more. Until next year’s conference, I’d recommend reading Silicon Prairie News. KCITP presents: Zaarly Launch party - June 1st @ Bizperc!